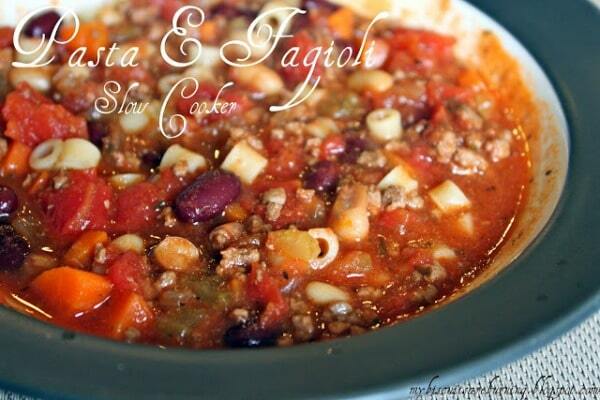 Slow Cooker Pasta e Fagioli Soup with Ground Beef tastes just like the restaurant version and this is so easy to make in the CrockPot! For Friday Favorites we spotlight past recipes that you may have missed, and this Slow Cooker Pasta e Fagioli Soup with Ground Beef from My Biscuits are Burning seems like a perfect soup to welcome fall weather! We certainly have to credit The Olive Garden for teaching Americans to love Pasta e Fagioli Soup, and I’ve already shared my Vegetarian Pasta e Fagioli, so it only seemed fair to follow up with one that has meat for the carnivores. I think this Slow Cooker Pasta e Fagioli Soup with Ground Beef from My Biscuits are Burning sounds delicious, and Maria said her husband thought it tasted just like the soup from The Olive Garden. This soup does use spaghetti sauce from a jar, but if you have Homemade Marinara Sauce, that can only make the soup even better! Get the complete recipe for Slow Cooker Pasta e Fagioli Soup with Ground Beef from My Biscuits are Burning. 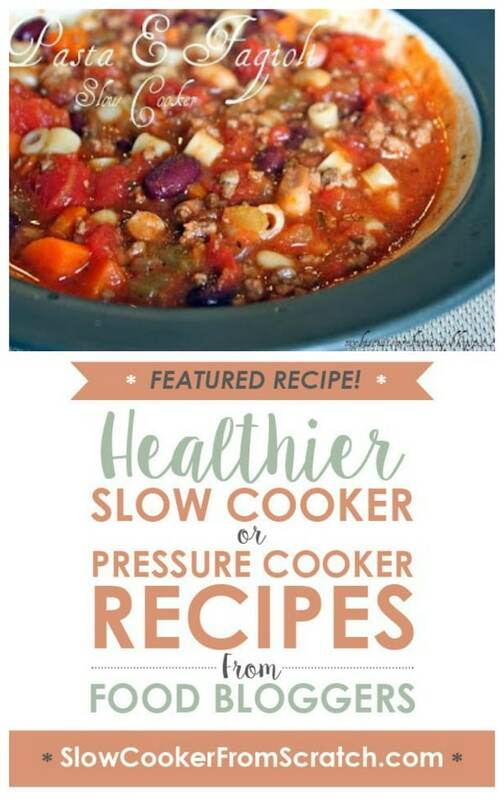 Use the Index Page for Soups to see all the slow cooker and pressure cooker soup recipes that have been featured on this site. This looks soo goods! I well definitely try this recipe. Thank you for sharing! Glad you like it; I'm planning on trying this one myself! Believe it or not, I have never eaten at an Olive Garden, but I've had real pasta e fagioli in many Italian restaurants, so I can't wait to try this one in the slow cooker. Thank you for sharing! My husband and I went to Olive Garden about a month ago. I ordered their Pasta e Fagioli and realized that I prefer our homemade version in the crock pot more!